Deciding to explore home care options for your loved one can feel overwhelming at times. Often our loved ones don’t welcome change and are apprehensive to accepting “outside” help. As caring family members we often try to meet all our loved ones needs ourselves. You try to meet the demands of your family; your career; your home life but in doing so, you are putting yourself at risk for something called Care Giver Burnout. Care giver burnout is a real concern for the family members trying to manage an overwhelming task of caring for a loved one and navigate through the health care system and caring for an aging family member or dependant loved one on their own or without experienced help. Total Nursing Care Inc. has been providing Home Care to Sudburians since 1995 and has worked with thousands of families helping them to better provide the home care their loved ones need and to also help in the process of caring for an aging parent or dependant family member. 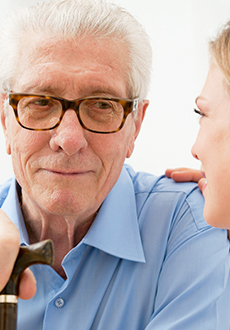 We have the experience to help you with the process and planning of caring for our loved ones with respect and dignity. There is provincial home care services, private insurance coverage, Veterans Affairs, WSIB may be available to assist you provide the care your requires. We can assist you to inquired about funding or specific provincial home care programs which may be available to provide assistance at no cost to you. Burnout is a state of emotional, mental, and physical exhaustion caused by excessive and prolonged stress. It occurs when you feel overwhelmed and unable to meet constant demands. As the stress continues, you begin to lose the interest or motivation that led you to take on the care giver role for your loved one. Care giver burner out is real and is significant. Can affect your ability to care for yourself, your home, your family and your children. If you are unable to care for yourself then you will not be well enough to care for and be responsible for your elderly family member or dependant loved one. If constant stress has you feeling disillusioned, helpless, and completely worn out, you may be suffering from burnout. When you’re burned out, problems seem insurmountable, everything looks b leak, and it’s difficult to muster up the energy to care – let alone do something about your situation. 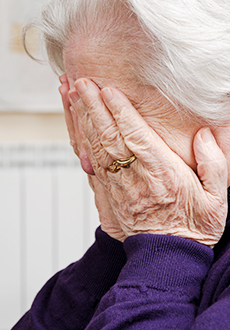 What are the signs of “caregiver burnout”? 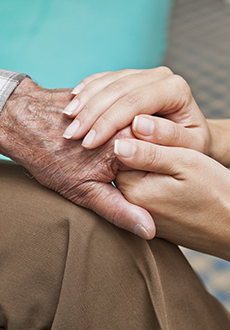 Don’t wait until you or your loved one is in crisis to start seeking help in the form of home care assistance. Plan ahead as best you can to prevent care giver burnout and unnecessary stress on you and your family.